Ever felt like that large pimple on your face has a life of its own – just screaming for attention! 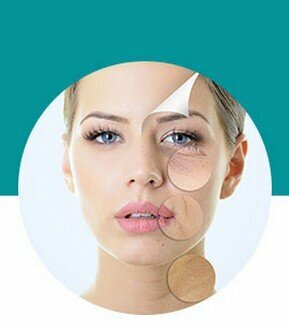 For those suffering from chronic acne – it is more than unsightly pimples and red bumps. It is the source of extreme embarrassment and anxiety, and can shatter your self-esteem. Treating acne breakouts and scarring not only restores the skins health but improves your overall quality of life and confidence. It involves understanding your condition and formulating a personalised treatment plan that is right for You. Acne is a dermatological condition that appears commonly as lesions on the face, neck, chest and back. These are often characterised by redness, swelling and pus. Ordinarily skin has tiny glands through which sebum (an oily liquid) is released. These sebaceous glands are attached to the hair follicle and allows the gland to be drained onto the surface of the skin. • The accumulation of dead skin and debris plugs the overactive oil duct and prevents proper drainage. Comedones/ blackheads are the result of the blocked oxidised oil and triggers an influx of white blood cells/ fighter cells. • Bacteria that are normally present on the skin - become trapped within this plug and begin to breakdown the sebum. • Finally leading to an inflammatory response by the body - causing the lesion to enter the whitehead stage. • Papules - visible on the surface of the skin. They are small bumps, usually pink. 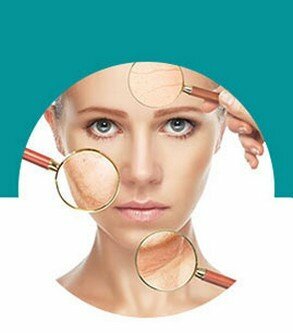 • Pustules - clearly visible on the surface of the skin. They are red at their base and have pus at the top. • Nobules - clearly visible on the surface of the skin. They are large, solid pimples. They are painful and are embedded deep in the skin. These do not necessarily leave scars. • Cysts - clearly visible on the surface of the skin. They are painful, and are filled with pus. Cysts can easily cause scars. Inflammation on the cheeks, jaw-line, chin and upper neck may be indicative of hormonal fluctuations and is more common amongst women. What are the contributing factors to the formation of acne? • Hormones: The hormone Androgen is present in elevated concentrations during puberty in both males and females. This leads to an increase in sebum and resulting acne. Polycystic Ovarian Syndrome (PCOS) leads to higher levels of male hormones which can cause acne in female patients. Mild breakouts may also be noted during menstruation due to hormone fluctuations. • Poor Diet: high saturated fats, MSG's, preservatives, coffee, chocolates etc. Our unique combination of acne treatments rapidly clears breakouts and helps prevent emerging breakouts even before they become visible.